1 How to wear cute outfits for school? As a teenager, I remember how stressful it was to find clothes that made me look cute and fashionable. I’d spend a lot of time and effort trying to make the right combinations and hoping I’d be as stylish as most of the girls in my school. If you feel like this is also you, don’t worry, I’ve got you! I’ll guide you through many cute outfits for teens that I have picked specially for girls like you, and I’m sure they’ll make you feel confident and stylish next time you step into your school. How to wear cute outfits for school? The best way to look stylish is to be updated with the latest trends. Remember that every season brings new fashionable inspiration that you can easily include in your school outfits. Are you hoping to catch a cute guy’s attention? Are you constantly comparing yourself with other girls’ fashion styles? Or have you been wondering what are the latest trends for teens? Grab something to write on, relax and have fun reading through these fashion ideas for teen girls. Sportswear has been in the spotlight for several seasons now and has only gotten stronger. If you love to look effortlessly chic, this is a great option for your school outfits and the best part is how comfortable and stylish it can be. To master the basics of athleisure wear, just grab your favorite sneakers and pair them with jeans or leggings and a sports brand logo t-shirt and voilà! You are already rocking a cute teen outfit. If you want to add a little “extra” to your outfit, try adding a pop of color. Bella Hadid is a great example of how to look effortlessly stylish in athleisure wear. We’ve seen it for a couple of years now, sometimes stronger and sometimes subtler, but truth is if you don’t have any animal print in your wardrobe yet, then it’s time to start investing. This trend is not going anywhere anytime soon, and there are many ways you can wear it without looking like you’re going on a safari. 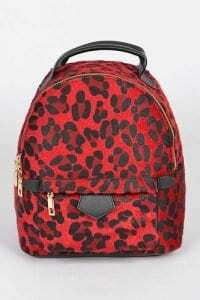 Cute and trendy, that’s what teenage girls love and this is what they get with animal prints. How to wear animal print for school? There are many ways you can wear this trend, and it depends on how strong of a statement you want to make. If you love to grab people’s attention, a printed dress is what you’re looking for. Animal prints can now be found in bright and bold colors, not only in earthly tones as it used to be. Upgrade animal print by wearing it in colorful combinations. Use your accessories to show some animal print as well. Sometimes, using trends in our accessories is the best way to rock a trendy and cute teen outfit. A backpack can be a great idea for your school outfit because it’ll give you a statement look with no effort at all. Flower printed blouses are another great option that can’t ignored in your wardrobe. Since florals are something everybody wears, the secret is finding the correct silhouette to stand out from the rest. What blouses are trendy for teenage girls? 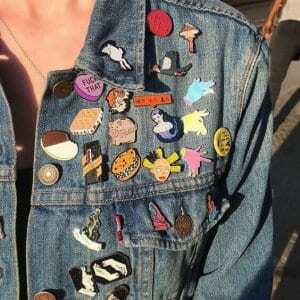 A denim jacket may not be the newest trend, but it’s a must-have for any teenage girl. The best thing is that now you can find a denim jacket that doesn’t look basic at all: it can be printed, oversized, or full of patchwork. Upgrade your jacket, and it will be one of the best fashion statements you’ll make in this season. Your denim jacket and your jeans are definitely not the only denim items you should have. Vests, overalls, skirts, rompers…, they can be easily paired with any color or print, creating a cute school outfit for teenagers. Coldplay predicted it years ago. We’ve seen it on the last runways: yellow is coming and it will stay with us for a while. 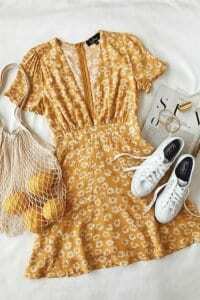 How to look trendy with yellow? 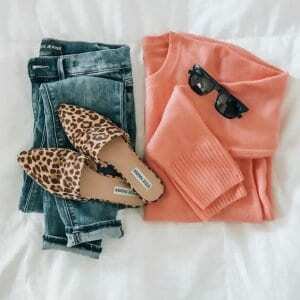 Add this color to your outfit and it’ll make you look fresh and cute. Whether you’re more like a mustard mood or a bright citric yellow vibe, don’t be afraid of adding this color to your wardrobe. This pop of color will definitely create a cute teen outfit, making you feel happy and ready for summer. The best and easiest way to wear it: pair it with denim. 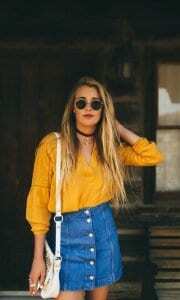 You can wear a cute yellow top with mom jeans or a 90’s skirt and you will be the definition of a stylish teenager. A yellow dress is a must for teenagers. It’s comfortable, flattering to any body type, and absolutely fashionable. Pair it with sneakers and you’ve got a combination of both an athleisure and yellow trend. White and yellow is also another great combination. Wear your favorite white bottoms and add yellow to your top or accessories. It doesn’t have to be a solid yellow; you can try a cute printed or striped top to add that pop of color. If you don’t have any wide legged pants yet, it’s time to add them to your wardrobe. They look absolutely great and are super comfortable. These pants can be either striped or solid, and pair perfectly with basic t-shirts. Just make sure your t-shirt is not oversized or too loose. 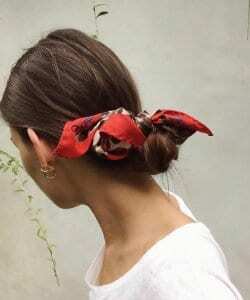 Never underestimate the power of accessories, specially for teen girls fashion. You can be wearing a basic white t-shirt with blue jeans and they will still make you look absolutely stylish. A teenage girl can easily wear the latest trends and still look cute. These 10 outfit ideas and inspiration for teens are your personal guide to perfecting and improving your style. Are you ready to go to school tomorrow? Hands down you’re more than ready. How to Wear Veil Skirts Fashionably all Year Round?